Published: Oct. 24, 2014 at 12:39 a.m. Updated: Oct. 24, 2014 at 12:45 a.m.
Every college player's dream is to get drafted into the NFL. That dream becomes a reality for just 256 players each year -- a tiny fraction of the thousands who believe they can perform at the game's highest level. These hopefuls are the focus of Undrafted, the latest original series from NFL Network. In Thursday's advance premiere, we meet six men fighting to keep their NFL dreams alive against mounting odds. "To be honest, I don't have a Plan B. This is it," says former Morehouse College star Elijah Anderson. "This is what I love. I put all my eggs in one basket and I'm going with football." It's impossible to root against any of these guys. It's part of what makes Undrafted such a compelling -- and difficult -- watch. History tells us that most, if not all these NFL hopefuls are chasing a ghost. But they can't stop. The show does a nice job illustrating how the underdogs come from different walks of life. Small school linebacker Jonathon Sharpe is an exterminator by day ("I never thought one day I'd grow up to be a bug man") who trains with his parents at night. Sharpe's mother, Shannon, gives him pointers in the 40-yard dash in one of the episode's lighter moments. Harvey Unga, BYU's all-time leading rusher turned 27-year-old family man, failed to catch on with the Chicago Bears and is running out of time to make his mark. Former Alcorn State wide receiver Terrance Lewis sees football as his escape from the rough neighborhood he still calls home. Nnamdi Obukwelu is a defensive tackle out of Harvard who balances being a student-athlete at America's most famous school while feeling the pressure of making his successful Nigerian parents proud. "Given all that they've sacrificed, who am I to f--- that up?" he says. The episode ends with the subjects prepping for the NFL regional combine. It's the biggest job interview of their life. The narrator intones that a poor showing can "end a career." Melodramatic? Perhaps, but that doesn't mean it's not true. You can catch the official premiere of Undrafted next Tuesday at 9 p.m. ET on NFL Network. The six-part series will air each Tuesday through Dec. 9, with special advance premieres each week after Thursday Night Football. 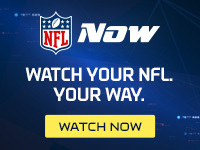 Digitally, Undrafted will be made available on NFL Now through the service's premium tier, NFL Now Plus. You should watch. "Undrafted" is a continuation of a new line of programming for NFL Network, following in the steps of "Finding Giants," which looked at the scouts and front office of the New York Giants. All six episodes of "Finding Giants" are available on NFL Now.